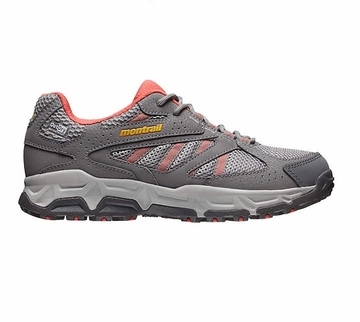 A lightweight, waterproof leather hiker offering the smooth underfoot performance of a running shoe but in a hiking style. Reinforced upper overlays protect the foot, while full-length TrailShield outsole delivers a flexible yet protective ride. FluidGuide midsole technology ensures mid-foot stability on uneven surfaces. Patented OutDry construction seals out water and debris.